King Keg is your one-stop, full-service beer emporium! At King Keg, we offer the finest and largest selection of craft beers, both locally brewed and imported. With fully stocked beer refrigerators and a knowledgeable staff, King Keg offers top-shelf service for any of your celebrations, events, or even your business. 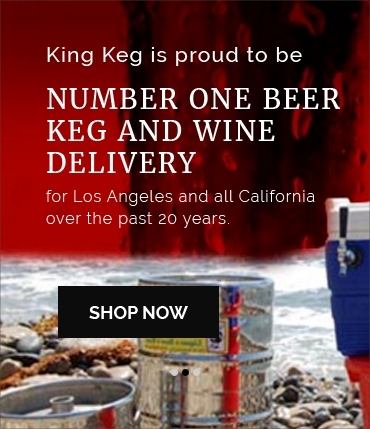 For the past two decades, King Keg has been the premier provider of high-quality beer, kegs, and kegerator delivery services throughout Sout Bay, including, Hermosa, Redondo, El Segundo & Manhattan Beach! The beer run is among one of the most sacred shopping experiences! Whether you’re stocking up for a family BBQ, or just interested in trying something new, the right beer store can make or break the difference between buying a fresh IPA, or a sad, old sixer of a stale domestic brew. At King Keg, we guarantee that all of our beers are of the freshest quality, stored cold at the adequate temperature for the best tasting beer possible! We also have great relationships with our local breweries which gives us dibs on some of the rarest local brews and freshest newly minted beer from all around us. King Keg is any true craft brew lovers go to stop in the South Bay! Get In Touch With King Keg Today For All Of Your Beer Service Needs! For more information on our wide selection of beers, or to learn more about our keg and kegerator services, don’t hesitate to contact us today! On behalf of our entire staff at King Keg, we can’t wait to help make your party planning process in Los Angeles easier than ever!